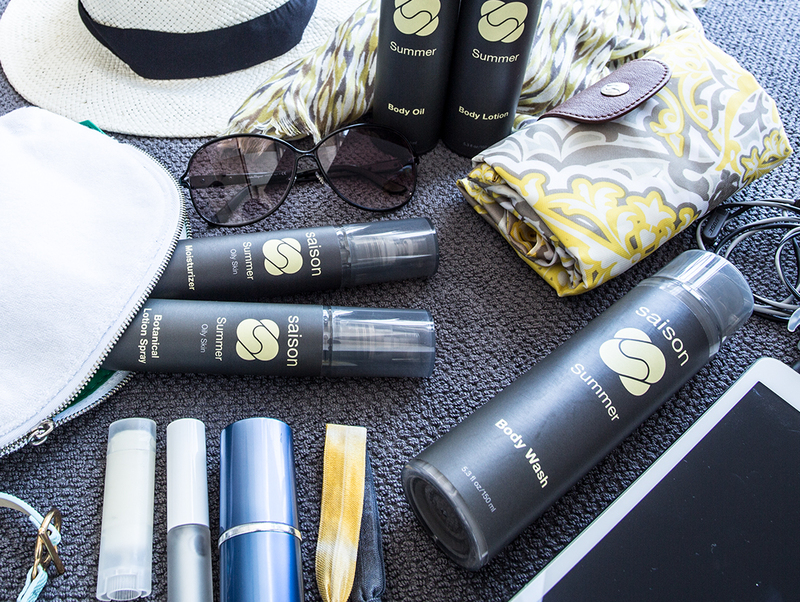 With the long weekend just around the corner, it’s time to get packing! ☀️ And no matter if you are hitting the beach, the lake or a new city, it’s the perfect time to let your skin breathe and go au naturel. Taking a cue from our favorite new music artist @jenniferjchung – and just like her latest hit says – #CommonSimpleBeautiful is the way to go. Here are a few tips to help you shine (in a good way) this weekend. 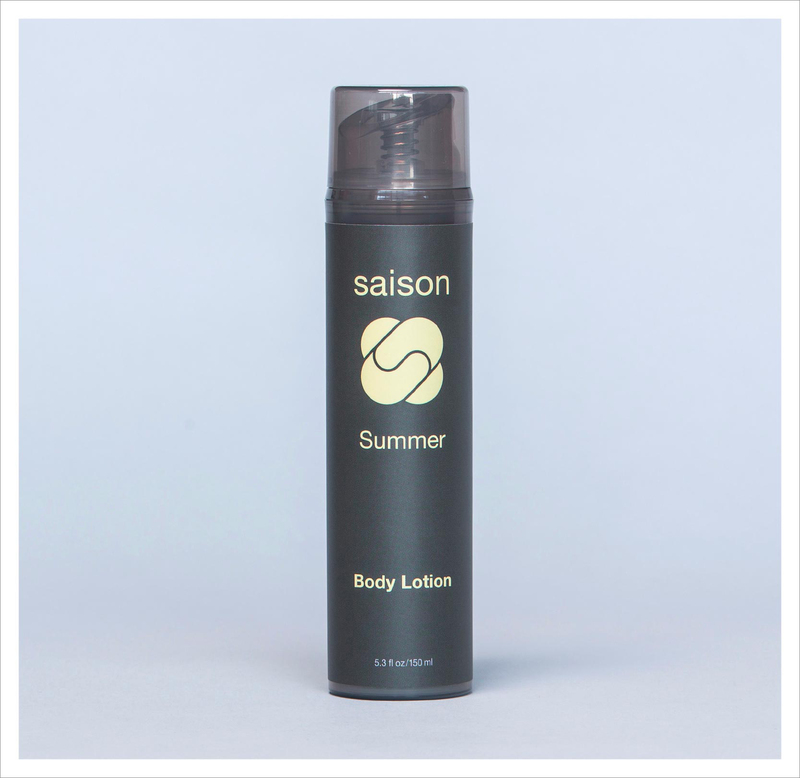 Saison Beauty is in San Francisco, California. 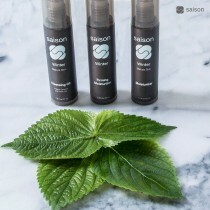 Did you know that Saison packages its products in special recyclable, BPA-free, vacuum bottles to help protect our oils and lotions from air, light and germs? And no product waste! You get every last drop of product! All of our seasonal products were formulated to help you streamline your skincare regimen and multi-task, so that you save time, use fewer products and reduce packaging waste. Also, we do not utilize extra packaging materials, like cardboard boxes that go straight to waste - just the essentials to ensure that your product arrives safely through the mail (oh, and those are recyclable too). These bottles are TSA-friendly, so feel free to reuse your empties and decant other products for when you travel. Or reuse for other storage or decorative ideas. These bottles - including the pump and the cap - are made from Polyproylene (PP), or #5 plastic, which is accepted by most recycling programs. Simply remove the metal spring under the pump and the label, and recycle as usual. CHECK BACK next week to learn what to SAVE, TOSS, DONATE. Over the next few weeks, we will help you detox and streamline your spring skincare routine towards beautiful, glowing skin. One of the first steps towards your new spring skincare routine is a good spring cleaning - for both your face and space. For your face, we recommend #doublecleansing for spring. This season your skin tends to be more sensitive to changes in your diet and from more exposure to external pollutants (smog, pollen, etc) as you spend more time outdoors. This cleansing duo is incredibly gentle to ensure that you’re not over-cleansing and very effective at gently removing makeup, dirt, oil and environmental pollutants from your skin’s surface. You will notice your skin will be clean, calm, soft and bright. The Cleansing Oil is a gentle, non-foaming facial cleanser made with Organic Camellia, Apricot, Jojoba and Safflower Oils. that breaks down stubborn makeup, lifts dirt and oil and cleanses skin naturally. This face cleanser appears like water, but it will begin to lather as you rub your hands together. 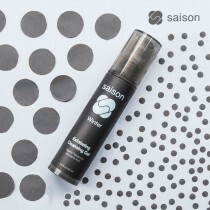 This gentle cleanser removes residual dirt and oil, while toning and softening skin, and does not contain any SLS. To begin spring cleaning your beauty space, it is a good time to take everything out of your drawers and cabinets…everything. Give your storage areas a good physical cleansing. Then take a moment for a meditative cleanse - sage or palo santo smudging and a soothing sound bath for good measure. This will help you clear the clutter and old bad habits; and set a new intention for your new routine. 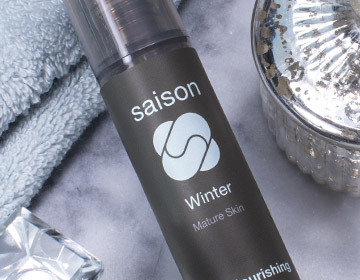 Say goodbye to the cold, gloomy winter days, and the heavy winter balms, moisturizers and oils that go with it. 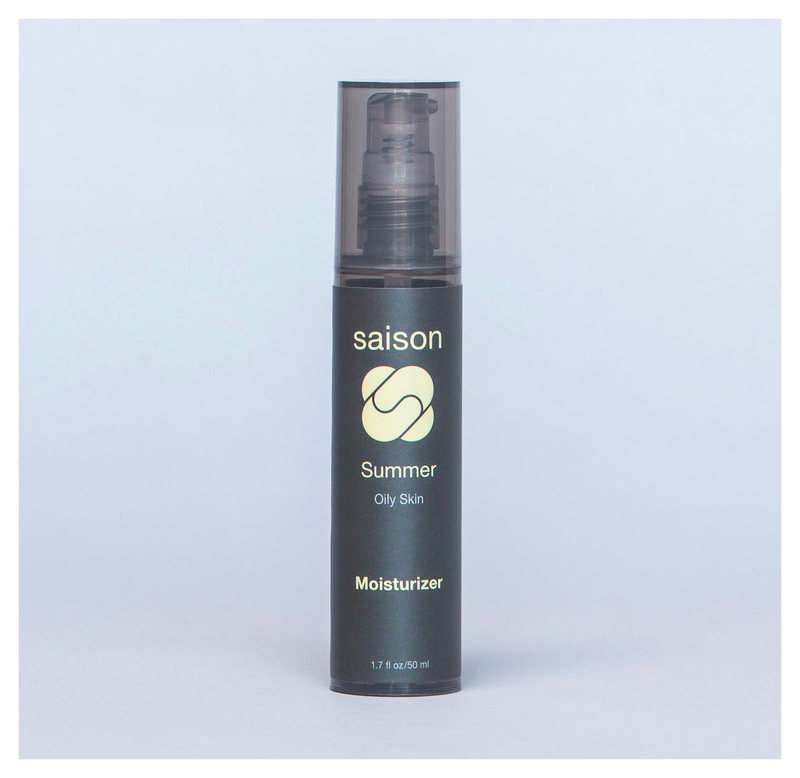 This spring, help your skin transition to warmer, wetter weather. During this transition, look out for clean gentle formulas that will also help your skin get through allergy season where your skin might be more sensitive and unpredictable. We’ve taken all the guess work out for you, and created this Spring Collection to take care of all your skincare needs over the next few months. 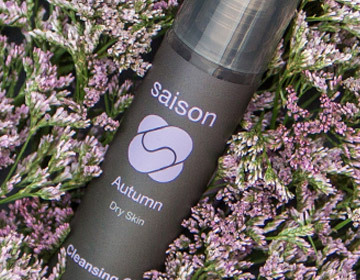 This Cleansing Oil is made with Organic Camellia, Apricot, Jojoba and Safflower Oils to breakdown and remove makeup, and cleanse and balance your skin. This face cleanser appears like water, but it will begin to lather as you rub your hands together. This gentle cleanser removes dirt and oil, while toning and softening skin, and does not contain any SLS. Need a short-cut? This product also acts like Micellar Water - simply saturate a cotton pad and wipe your face clean. 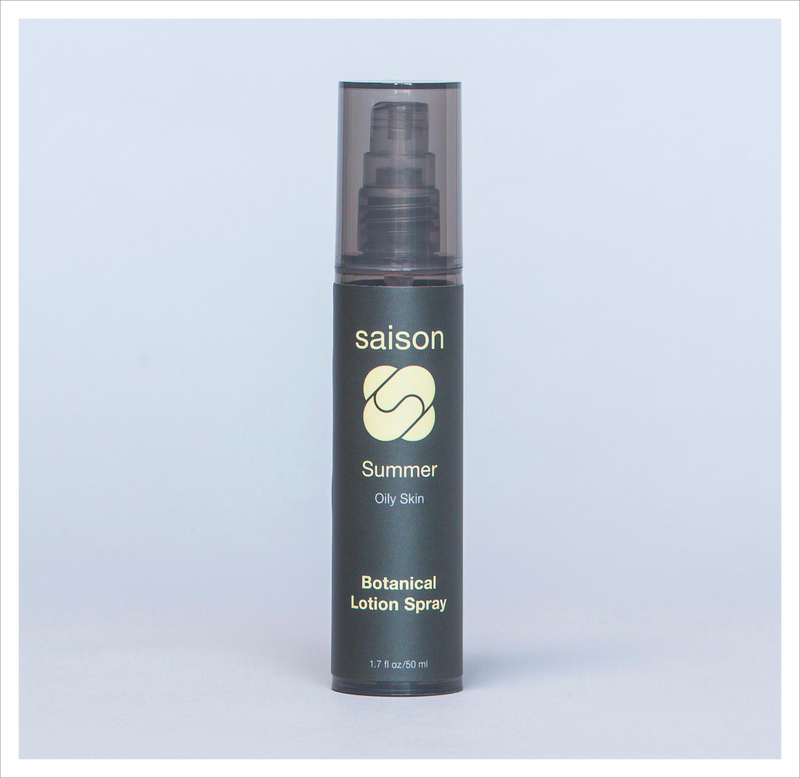 BOTANICAL LOTION MIST�Keep hydrated and refreshed throughout the day. 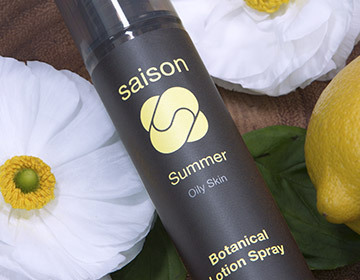 Packed with Organic Aloe Vera, Glycerine, Green Tea, Rose Geranium, Lemon Balm, Cucumber and Lavender, this Lotion Spray will keep you cool, keep your skin looking dewy and refreshed throughout the day. Blended with Organic Green Tea, Licorice and Mulberry extracts this helps rejuvenate skin, calms redness and inflammation, and minimizes skin discoloration. Receive the latest news, tips, recipes and more. ©2018 Saison Global, LLC. All Rights Reserved.